A great company based out of the USA, Rockville strives to provide the best in electronic equipment at the best value. After spending years researching and trying new techniques, Rockville is proud to employ talented engineers and designers who all work towards the goal of being able to provide high end electronics equipment for all walks of life for less. 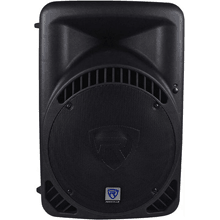 Whether you are in the market for car audio or home theatre equipment, or you are in need of a more specialised product such as marine audio, Rockville has a great line of products that may fit what you are looking for. 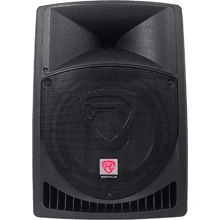 Rockville is a company known for working with a variety of musical genres, however, Rockville speakers are most often used by music professionals such as DJs and musicians. 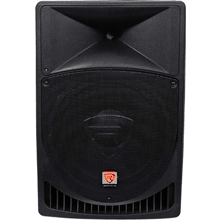 What Types Of DJ Speakers Do Rockville Produce? Based out of NY, Rockville is a sound audio company that is made up of some of the most creative engineers in the industry. They pride themselves on providing the best audio equipment for the price. Rockville is a great company to explore if you are in the market for the highest quality professional audio equipment, car stereo or home theatre equipment. Rockville spends the majority of their resources on producing the highest quality equipment at the best price. 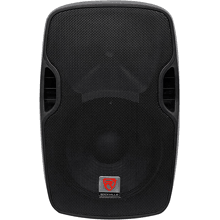 To help you get a better idea of what Rockville has to offer, this article will highlight the various types and sizes of DJ speakers that are available from the brand. 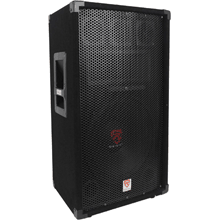 Rockville is well known for manufacturing high quality PA DJ speakers that are affordable and accessible to people from all walks of life. 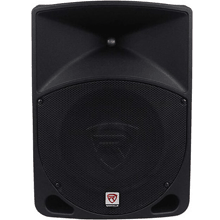 From the DJ who is just getting started by playing in his parent’s garage for block parties, to the DJ who has a standing gig at a local club, Rockville PA speakers are a great buy and are able to withstand the test of time. Rockville PA Speakers offer some key features that are important to note. 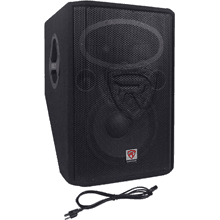 You can purchase passive PA speakers or active PA Speakers through Rockville. Passive speakers will give you more flexibility in setup, however it will take more time. Active speakers will be easier to use while on the road if you plan to travel. Active speakers do not require additional equipment whereas passive speakers do. Keep these differences in mind when you are shopping for speakers as it will be imperative to your overall setup. Some setups require the use of a studio monitor. 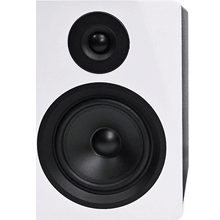 Studio monitors can help you deliver superior sound to a large venue. They are also beneficial to use when you are performing on stage so that you can hear how your tracks sound to the crowd. 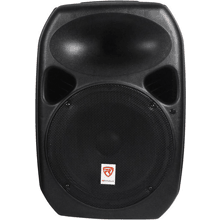 Rockville monitors are available in 250 watts all the way up to 500 watts. 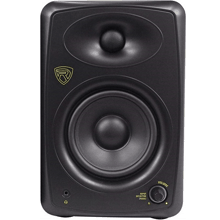 If you are keen on the bundle deal idea, you can purchase studio monitors with accessories and stands. These bundles offer the consumer substantial cost savings and make purchasing equipment simple. Another great perk to investing in Rockville products is that you can purchase a variety of equipment in a bundle. Buying equipment in a bundle will save you money and time. When you buy a bundle, you know that all the equipment will work together. If you were to purchase equipment in a part and parcel format, it may be a bit more challenging to plug everything in and get it working the way you want it to. In addition, if you were to find yourself in a situation where you need maintenance, it could be cumbersome to have to take your equipment to various authorized dealers. Rockville studio bundles include speakers, a subwoofer, stands, pads, mic, headphones, and other items. You can pick and choose your bundle based on the equipment that you need to complete your setup. Buying in a bundle can save you a chunk of change! “Hey, Mr. DJ, put a record on! I want to dance with my baby!” Madonna’s hit song Hey, Mr. DJ is one of the most popular songs played in the club when it first came out. It is quite common to hear it come on mixed into popular songs even years after its release. The ability to get the crowd on to the dance floor takes some skill in selecting the right songs, but what is even more critical that choosing the right tracks, is using the right speakers to entertain your crowd. One of the biggest mistakes that a DJ can make is to buy speakers that are less than stellar. Speakers that don’t sound good or fail fill a space with music can leave a party deflated and boring. Choosing the right set of speakers is paramount to your success as a DJ which is why it is important to do your research on the manufacturer before you commit to purchasing their product. This article will highlight some helpful bits of information about the Rockville Audio Company. One of the best perks to purchasing a product from Rockville is that you receive the utmost in great customer service. Based out of New York, they are a company that operates very much like a family business. When you invest in DJ equipment, it is best to research the company who makes the product. The reason for this is that it will help you determine if you agree with their mission, values, and how they create their products. Knowing as much as possible about the company can also help you make a well-informed decision. This article will provide you with detailed information as to what you can expect when you buy a product from Rockville. Rockville prides themselves on being a company that offers superior customer service. Whether you call them directly at 1-646-758-0144 or you email them at [email protected], you will receive a prompt response to your question. Rockville is so serious about making sure that their customers are happy that they offer a 90-day money back guarantee, FREE same day shipping, and no sales tax outside of the state of New York. Outstanding customer service, great prices, and quality products makes Rockville an enticing company to invest in. Rockville prides themselves on being full of knowledge and help to educate their customers on their products. Created by innovators, engineers, and people interested in creating audio equipment for the masses at a reduced price, education and product knowledge has always been a crucial value of the Rockville company. Rockville does not hide behind their policies. In fact, they make product and purchasing polices public knowledge. Because of their level of transparency when it comes to sharing policies with customers, Rockville is quite proud of their relationship with loyal and potential customers alike. Perhaps one of the reasons that Rockville can be so transparent with their policies is because they are confident in their products. When you buy from Rockville, you are getting a high-quality product from a brand within the USA. 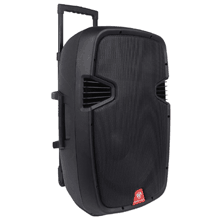 Buying a set of speakers is a big deal for a DJ and the decision should not be taken lightly. Whenever you shop for a new set of speakers, it is imperative that you conduct proper research on various products and manufacturer’s before settling on a choice. When you look into a speaker line, it is helpful to learn about the manufacturer and what you can expect from your retail experiences. Making a well-informed decision will help you be the best DJ that you can be!